Dr. Coleman is the National Medical Director of The Coleman Institute. He grew up in New Zealand and attended medical school there before moving to the US in 1980 to complete his Family Practice residency in Chapel Hill, NC. Dr. Coleman moved to Richmond in 1988. He has over 30 years of experience in the field of addiction medicine, as well as family practice medicine. Outside of the office, he enjoys Stand Up Paddle boarding, surfing and mountain climbing. Dr. Reich was raised in Forest Hills, NY and attended the Albert Einstein College of Medicine. She moved to the Boston area in 1991 for her postgraduate medical training and completed her residency in Anesthesiology and her fellowship in Pain Management at the Massachusetts General Hospital. She practiced at Newton Wellesley Hospital for 20 years until 2016 when she shifted her focus to outpatient care. With her training and experience in pain medicine Dr. Reich has a unique perspective and experience treating patients with Chronic Pain using Opioids and other potentially addictive substances. Dr. Reich is known for her kind and compassionate care of patients. She has a strong passion for treating patients and working with families struggling with Opioid as well as Alcohol Use Disorders. Dr. Reich lives in Newton, MA with her family and enjoys reading, outdoor activities and time spent with family and friends. Dr. Chen specializes in Addiction Medicine and Pain Management. He is board certified by the American Board of Addiction Medicine and is our Addiction Medicine specialist in the Dallas area. He provides outpatient medical detox services to help patients suffering from opioid and alcohol dependence. 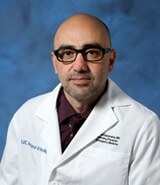 Dr. Banimahd is an Addiction Medicine specialist in Orange County, CA. He ascribes to the traditional model that the best outcome for a patient’s care is building relationships with a highly skilled professional and most importantly, that is who you see on regular encounters. This is good medicine for the body and soul. Dr. Faried Banimahd was named one of the top 100 most influential members of the community in 2017 for his treatment of those suffering with addiction. Daniel Glatt, MD MPH, was board certified in Internal Medicine in 1996 and re-certified in 2008. He was also certified in Addiction Medicine in 2001 by ASAM and re-certified in 2010. He served 7 years on active duty as a physician in the U.S. Navy from 1992-1999. Dr. Glatt completed 2 years of specialty training in Addiction Medicine at the San Francisco VA Medical Center. In addition to his medical degree from New York Medical College, he earned a masters in Public Health (MPH) from Harvard University. He is board certified by the American Board of Addiction Medicine. Dr. Glatt, along with his father, Dr. William Glatt, has treated many patients under the Glatt Medical, LP banner. The senior Dr. Glass was the Medical Director of the Chemical Dependency Services at Mills-Peninsula Hospital from 1981 until 2012. He has written and lectured on the Healing Powers of Love and Hugging and the Immune System. Dr. Glatt was Chairman of the Department of Internal Medicine at Mills-Peninsula Hospital for four years. He was an active member of the ASAM Public Policy Committee. ASAM Certified: 1986. ASAM Re-certified: 1996. Elected a Fellow of the American Society of Addiction Medicine in 2001. He is Board Certified by the American Board of Addiction Medicine and the American Board of Internal Medicine and was elected a Fellow of the American Board of Internal Medicine in 1985. William Keating, MD is a board certified family practitioner and the owner of the practice. He has built an environment of camaraderie, trust, peace, tranquility and team work. He essentially sees all agegroups from childhood to the geriatric population for primary care purposes. He is also board certified in addiction medicine. Dr. Imtiaz Hossain was born in Bangladesh and moved to the United States 26 years ago. He completed his undergraduate and then went on to receive his medical degree at the University of Dhaka, Bangladesh. Further medical training includes residencies through the Albert Einstein College of Medicine in New York and the University of Toronto, Canada. He is board certified in Anesthesiology and Pain Management. In his spare time, Dr. Hossain enjoys traveling and spending time with his family. Dr. Daniel Frederick was born in New Orleans, Louisiana. He completed his undergraduate studies with a major in Psychology at the University of Texas. He then went on to receive his medical degree at the University of Texas, Medical Branch. Further medical training includes an anesthesiology residency at the University of Florida Shands Hospital and a pain management fellowship at Emory University. He is board certified in Anesthesiology and Pain Management by the American Society of Anesthesiologists. In his spare time, Dr. Frederick enjoys spending time with his family, playing tennis, and fishing. Dr. Rick M. W. Sloan graduated from the University of Colorado School of Medicine in 2002 and served his residency at St. Joseph’s Hospital in Phoenix in the family medicine program. During his last year in the program, he served as Chief Resident. As a physician, Dr. Sloan began his career with Indian Health Services at the Salt River and Gila River clinics. In the fall of 2010, Dr. Sloan established We Care Urgent Care. Since its opening, thousands of patients have received care at We Care Urgent Care for their immediate health concerns. It also became apparent that many of his patients had more long-term health concerns. Dr. Sloan opened his practice at Palo Verde Family Medicine in the summer of 2012 to offer care for those patients. He remains as Medical Director at We Care Urgent Care and oversees all medical care at both clinics. Dr. Sloan and his staff pledge to always provide quality and compassionate medical care for you and your family. Dr. Sloan is certified by the American Board of Medical Specialties and serves as a diplomate on the ABFM Board. He is also a board certified Medical Review Officer. Dr. Simon’s philosophy is he believes that the goal of treatment is to alleviate symptoms as rapidly as possible and to assist the patient in moving forward within their family, school, career, and community in a positive manner. Dr. Nathan Moore is Board-certified by the American Board of Family Medicine. Dr. Moore attended Stanford University in Palo Alto, CA for his undergraduate work and then attended Duke University School of Medicine and obtained his M.D. in 1995. He provides comprehensive family medicine services and is our Addiction Medicine specialist in the Denver area. Dr. Moore is on the board of directors for FACES, a Denver-based non-profit whose mission is to prevent child abuse and neglect. Dr. Klim is double board-certified in anesthesiology and pain medicine. He is committed to providing his patients with personalized care and the most advanced interventional pain treatments available. His professional interests include diagnostic and therapeutic spine injections and neuromodulation therapy using cutting edge spinal cord stimulation and intrathecal analgesic techniques. Dr. Klim also treats opioid dependent patients in collaboration with local behavioral health clinics. In his spare time Dr. Klim enjoys playing guitar, tennis and church activities.